Solar energy is one of the most underrated forms of energy. It is a known fact that when the sun rays fall on the solar panel, it is converted into electricity. Gift your kids the solar toys and games to make the learning process enjoyable and exciting. Help your child have a better understanding of solar energy and the interesting part of science with the use of solar toys and game. From building your own kits that involve building trains, roller coasters or robots, to building the whole solar system, there are a lot of varieties that you can choose from. Everything now is going green to save mother Earth! 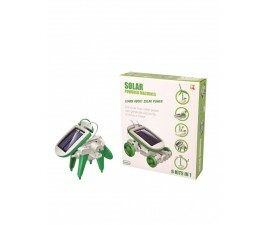 With the development and innovation of toys, solar toys are now available in the market. There are toys in the market now that can move, be controlled remotely and can make many moves like barking, dancing and can even talk which is operated by batteries. However, what makes these items more impressive and fun now is that these items are now working using the sun’s power. Toys that are solar-powered are built with solar panels to absorb sunlight and turn them into energy, for toys to move. There are solar-powered toys that are available at Mr Toys for boys and girls. It is the same with the other battery operated toys, and they are also entertaining to play with friends since these toys are automatic they would work accordingly with the what you’d want them to. From mini race cars to toy pets that are walking and do some actions. Also, you don’t need to buy batteries all you need is the solar energy for them to here at Mr Toys expect the best solar toys. Visit our website www.mrtoys.com.au. Collect them all today! Check it out at Mr Toys Toyworld. We deliver directly to your doorstep Australia Wide. Shop Online now!